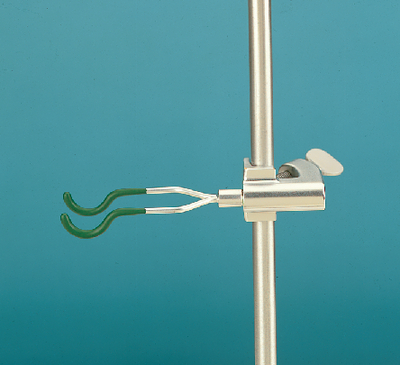 Clamp supports electrolysis apparatus, glass rods, or tubing at any angle. Arms are nickel-plated brass with vinyl coating. Easily supports cylindrical objects up to 19 mm (3/4") in diameter. 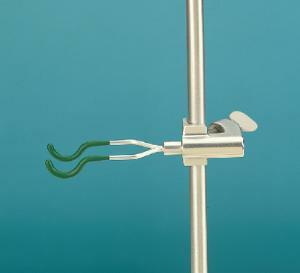 Built-in holder grips rods up to 19 mm (3/4") in diameter.